• Print up to 11 x 17 inches (A3). Scan and copy up to legal size. 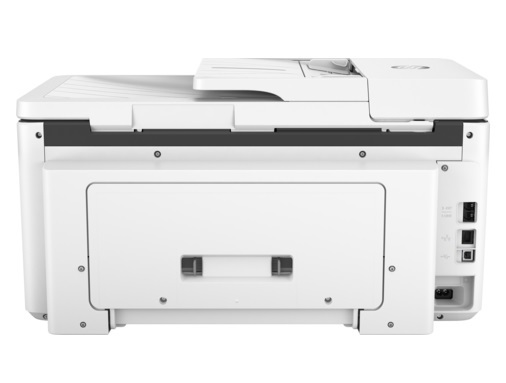 • The HP OfficeJet Pro 7730 comes the same family as the iF Design Award 2017 winner HP OfficeJet Pro 7740. • Breeze through tasks with the 35-page automatic document feeder, and get automatic two-sided printing. • Take control of print, scan, copy, and fax jobs, using the color touchscreen and timesaving shortcuts. • Print up to 3x as many black-text and 2x as many colour pages, with optional HP high-yield ink cartridges. • Create vibrant colour graphics and black text, ideal for brochures, presentations, and other office documents. • Produce water-, smear-, and fade-resistant prints that stand up to highlighters. • Create borderless brochures, flyers, photos, and other documents that look great – right in your office. • Easily print from a variety of smartphones and tablets. • Connect your smartphone or tablet directly to your printer—and easily print without accessing a network. 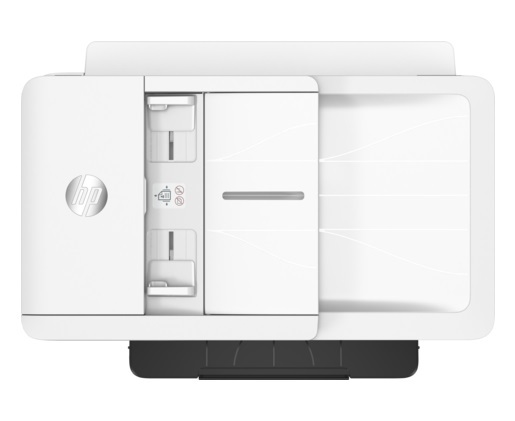 • Get the power of your printer in the palm of your hand, with the HP Smart app. • Simply tap the print button on your smartphone or tablet to print.